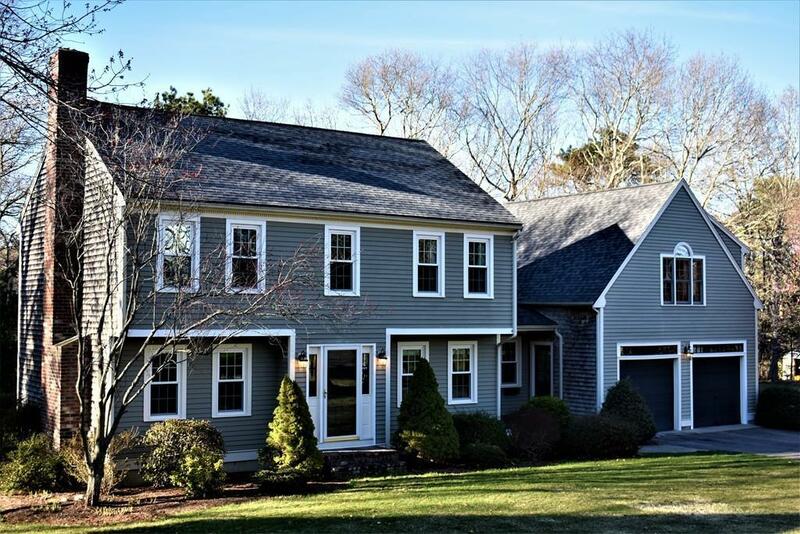 Beautiful and spacious Garrison Colonial perfectly situated on nearly an acre of landscaped property. Set nicely back from the street yet allowing for a large, level back yard overlooked by a huge deck and patio. You will feel pride of place throughout this updated home lovingly maintained by it's current, original owners. Hardwood floors, granite surfaces, a skylight in the Master Bedroom. The stunning open plan Kitchen, Dining Room and Sitting Room with access to the deck make living and entertaining a breeze. The huge Family Room, also with access from the Kitchen/Dining/Sitting area, is a truly inspired, custom addition built at time of construction. It's, frankly, an awesome space.